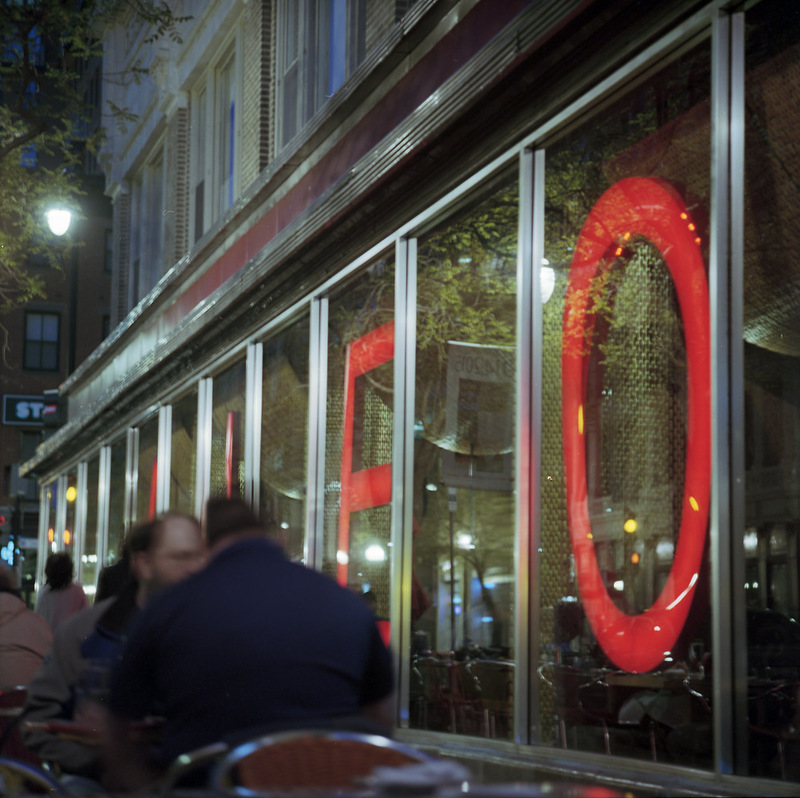 I’ve walked past the giant red JALEO letters in the window of Jaleo, a Spanish tapas restaurant downtown DC, for years, wanting to photograph them but never really getting it the way I want. The first shot comes the closest. To get what I’d like to get, I’d have to stand in the street, in the winter, and cut down the trees out front as well. So this will have to do. A view into the restaurant. 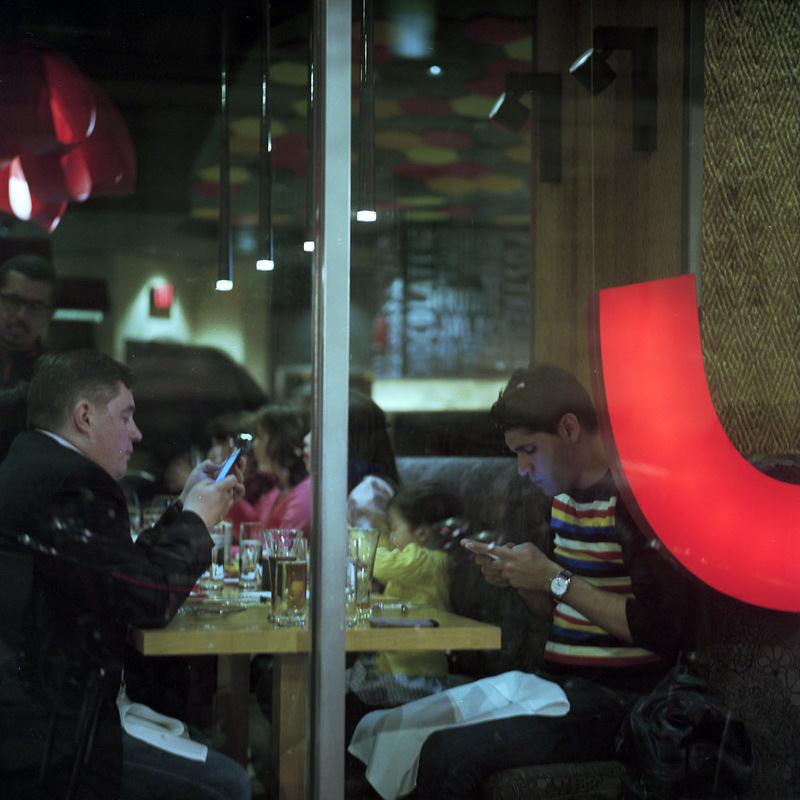 Photographically, what interests me in taking an image like this is the visual layering that happens – there’s reflections in the glass, the big red J, the people at the table, the pendant lights leading you away deep inside the restaurant, the other patrons at tables in the rear. Sociologically, this is another indictment of the modern life – two people at dinner staring at their phones instead of interacting with each other. It’s a sad commentary on how inward-focused we as a society have become that it is socially acceptable for two people (or more!) to go to dinner together and interact more with their digital devices than with the other human beings at the same table. We’re there to do one of the most basic and most pleasurable things two or more humans can do – share a meal. Put down the damn phone at the dinner table!